Dean received his Master’s degree from Antioch Graduate School in 1992. His early training and internship at Northeastern Vermont Regional Hospital from 1990 to 1993 afforded him the opportunity to work in inpatient drug and alcohol rehabilitation which led to licensure in Alcohol and Drug Abuse Counseling. After the requisite experience and supervision in psychotherapy he also received licensure in Mental Health Counseling. 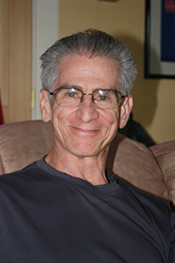 In 1992 Dean opened The St. Johnsbury Center for Well Being where he began his private practice and yoga instruction. Over the last 24 years Dean has had the opportunity to study with many great therapy and yoga teachers around the country and continues to seek out new ideas and methods to refine and improve his skill. In addition to the Center he teaches as an adjunct professor at Springfield Graduate School in the Human Services department.